Yes, you read that correctly. 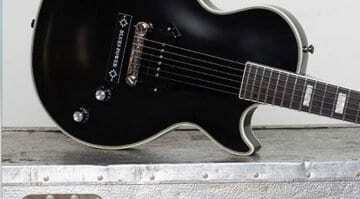 Epiphone has announced their cheapest ever Les Paul. In these budget-conscious times, offering one for $99 says a lot about the current state of the world of guitar sales. So what can you expect for under one hundred dollars? 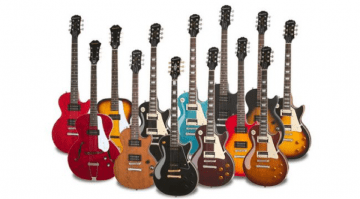 I think it takes some doing to offer seven different colours at this price: Ebony, Heritage Cherry Sunburst, Pacific Blue, Sunset Yellow, Turquoise and Vintage Sunburst. I was expecting maybe two colour choices at best, so no complaints from me there. This is one area where makers of lowest cost guitars offer little or no choice at all. 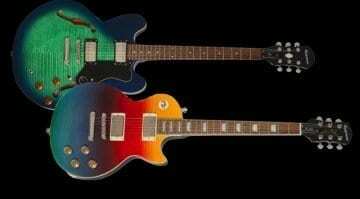 Just on colour choice alone, I think Epiphone has outdone itself. The neck is secured with four bolts, with a main body made from poplar and mahogany 1960’s SlimTaper D-profile neck. I think this is more than reasonable for the money and so I am happy with those choices. The two pickups are ceramic Epiphone 700SCT single coil units and to be fair, getting two pickups means you will get a couple of tonal variations from the guitar and so you can use your three-way switch and the Volume and Tone controls to find a few sweet spots. 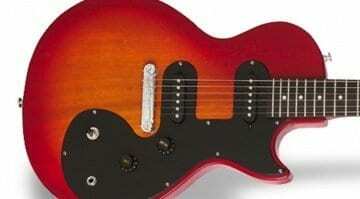 The Les Paul SL is also equipped with an Epiphone-designed Wrap Around Stopbar Bridge Combo and Premium Covered 14:1 ratio heads (the website actually states Grover Rotomatics, but I think this is a typo). 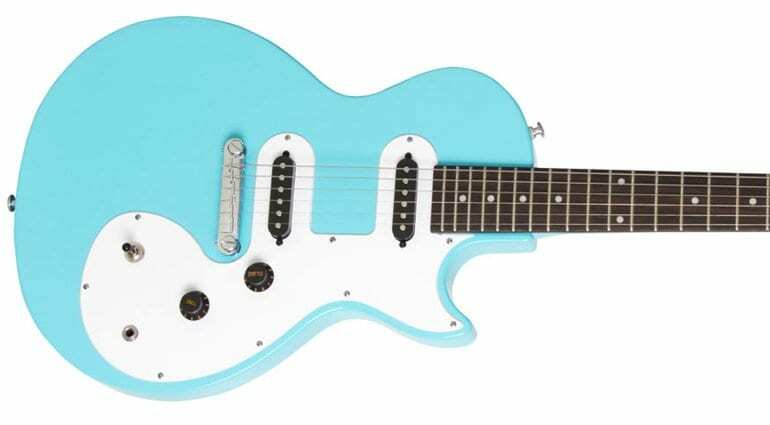 My main issue with this guitar is this “Where were you when I was 12 and learning to play the guitar?” I actually think as a parent this is the type of instrument that I would buy for my son or daughter, as it looks decent, has a slim neck and has some great colour choices. For the money, you could even pick one up and use it as the basis for some ‘modding’ or go Punk Rock and mutilate it a bit for some fun.